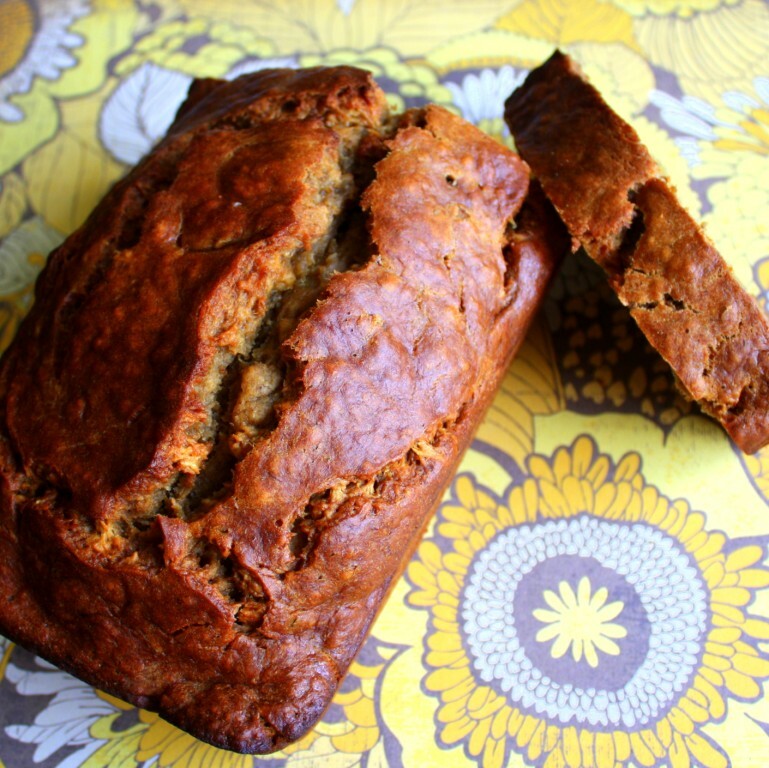 The Createry Shop: Dark Banana Bread Recipe - For That Richly Moist Dark Brown Color! Thanks for your comment! I know, too good to be true but the recipe is so simple. I tried many recipes and finally got it down to this one. For me, if there are too many ingredients I just won't make it! I'm so glad to hear it was a success for you, keep baking those banana breads! hi! you dont use milk or buttermilk in this recipe? just making sure before i make this. thanks! I love this recipe just made it and it was a big hit. I made a couple of small changes. I added a teaspoon of baking powder and baked it for 1 1/2 at 300 degrees. I came out a rich dark brown and very moist. Tks I will be passing this recipe on. I baked this bread a couple of times - it was always too "wet". the last time we could not eat it - greasy too wet - whats wrong??? Try reducing the amount of mashed bananas you add into it (maybe even by half). Hope this helps. Made this today and my whole family really enjoyed it! I used fresh ground whole wheat flour, Demerara sugar plus 1 tablespoon molasses in place of brown sugar, and olive oil instead of vegetable oil. Thank you for the new go-to banana bread recipe! Exactly what I was looking for! I wanted home-made "tastes like store bought" banana bread! This recipe is unbelievable and simple! Thank you!! Hi - not sure if this is a stupid question (!) but do you melt the butter? Thanks!! Hi Jennie, there is no such thing as a stupid question. Only the question that never got asked! I melt the butter slightly in the microwave so it is soft but not too runny. Hope that helps! Thank you so much for this recipe! It does take longer to bake due to the amount of bananas but it is truly worth it. My husband asked me to throw away all other banana bread recipes that I had. This is the only one that he wants me to bake anymore! Hi Jennifer Jae, thanks for leaving your comment! I'm so glad I could provide you with a recipe that's now one of your faves. It encourages me to put up more recipes I've tried and tested for everyone! Thank you! So moist... Will make this again! I love this bread! I aksi add a teaspoon of baking powder along with the baking soda. I also add a little more banana, a tablespoon of molasses, chopped pecans, sometime coconut, allspice, ginger and bake it in two 8×8 pans for 35 minutes. It is so dark and moist...out of this world...would love to be able to add a photo! A complimentary to assure you actually by way of example only one pleasing working with vital website. Insurance definitely really greatly regarded the best value. Best wishes with regards to presenting listed here game. My mom makes dark banana bread, and that's the only kind I like too. I've never made it myself (not yet anyway), but I think the key is to make sure the bananas are SUPER ripe...my mom always kept her leftover bananas in the freezer for this purpose. Is that what you do too? I enjoy this kind of loaf of bread! My partner and i aksi put in a teaspoon regarding preparing powdered combined with preparing soft drinks. My partner and i furthermore increase a tad bit more banana, any tablespoon regarding molasses, sliced pecans, at some time coconut, allspice, ginger and also cook that inside a couple of 8×8 pots and pans regarding thirty five moments. It really is thus dim and also wet... using this planet... would want in order to put in a photograph! I enjoy baking bread,this is the reason why I also find bread recipe, now it is time for me to make banana bread. 4th - On the same day i made it with less bananas than my mum but it was way to 'wet' and oily to eat. I then found a recipe that had almost identical quantities but without the oil. I am wondering whether this recipe is supposed to have an OR between the oil and butter as it seems very oily to bake. Not sure what I'm doing wrong but I won't be using any oil next time. Hi Mia, if it is turning out too dense or oily then eliminating the vegetable oil AND also reducing the amount of bananas may help. Another suggestion may be to leave it in the oven for an extra 10-15 minutes. I just made this banana bread 3 days ago and it came out fine. Good luck and thank you for your comments. I just followed thia recipe and bread is in the oven. Never made banana bread so I am excited to see how it comes out. This recipe is very simple and easy to follow and I did not use any mixer just a fork. I'll post an update! I used dark brown sugar and added a few TBS of molasses. Hoping for a really dark colour! The secret is the banannas. They have to be black, freeze them and then use. 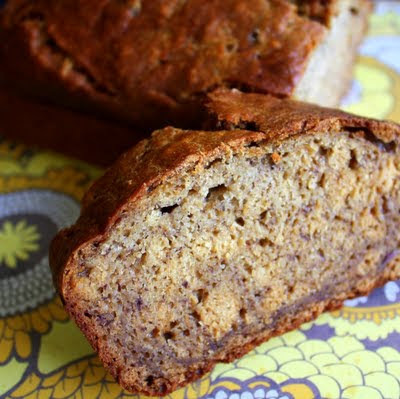 i dont want a dark banana bread but sometimes mine is real light color and sometimes dark. what makes he difference? Cooking it in a BuntPan or Even muffins pan So less cooking time Takes half the time.I like Both!! !